West Yorkshire Police, Wakefield, West Yorkshire, United Kingdom, 08 November, 2017. 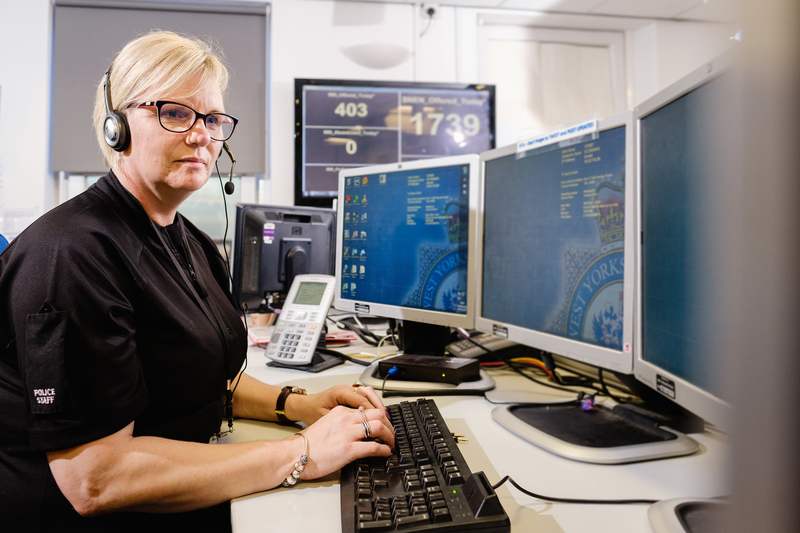 Pictured: Debbie Griffiths, Call handler. A company specialising in mission critical solutions for the emergency services has launched the first awards to recognise and celebrate unsung heroes working behind the scenes in control rooms across the UK. APD Communications develops critical, life-saving software used by emergency services organisations across the country, as well as transport and aviation operators nationally and internationally. The company’s market-leading software protects the public and emergency services personnel and ensures the efficient, continuous operation of services vital to public safety and security. APD has launched the Control Room Awards 2018 to recognise the life-saving and life-changing work of control room staff working for the emergency services and within a wide range of public and private sector organisations. The awards are the first to recognise the achievements of control room staff in their day-to-day duties, often dealing with harrowing and distressing situations. The APD Control Room Awards 2018 feature nine categories: The Award for Services to the Public; The Lifetime Achievement Award; Control Room Dispatcher of the Year; Control Room Call Taker of the Year; The Community Champion Award; Young Achiever of the Year; Leader of the Year; Special Recognition Award for Bravery and Courage; and Team of the Year. The Control Room Awards ceremony will take place on 8 March 2018 at the De Vere Orchard Hotel in Nottingham. Finalists and a select group of guests will enjoy an evening of celebration, reward and recognition.